Do you wish you could have planters that don't need any floor space? This innovative modular panel system allows you to specify and build a unique wall that can be a complex or simple as required. 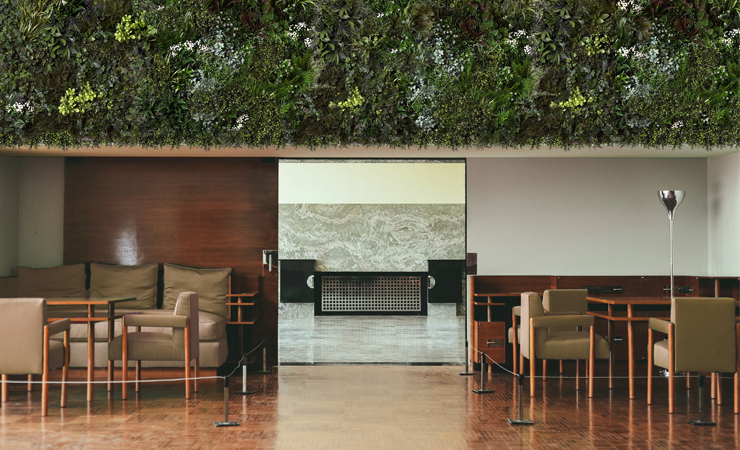 Plain, single or multicolour panels can be interspersed with a multitude of other designs including 3D contours, logos, artwork or pictures, shelves and a variety of live and artificial planting. Feature wall from Livingreen Design is quite simply a new concept in wall decoration. 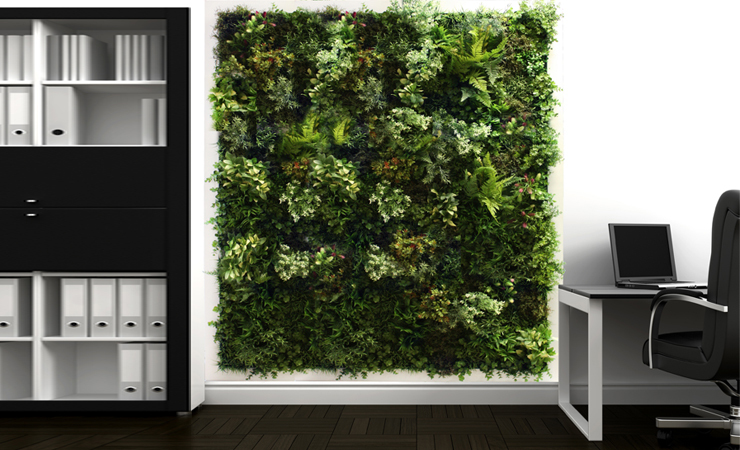 You can use Feature Wall to create a beautiful replica green wall featuring patterns, colours, textures in formal or rainforest format. If you want real planters then Feature Wall has modules for that too, allowing you to put in as many or as few as required, from a full green wall to a single planted panel. But the beauty of the system is to mix and match to create the perfect solution for every situation. Use it in receptions to bring alive a company logo. 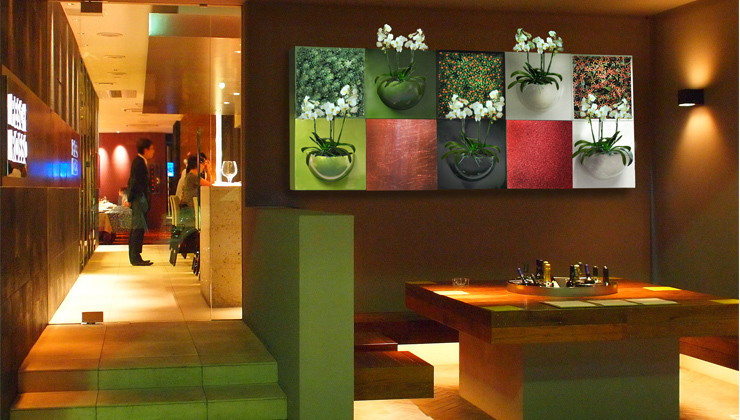 Replace tired artworks with multi-dimensional displays blending colour, form, visuals and plants. Match panel finishes and colours to plant containers, unifying the interior design. As feature Wall panels are hung like pictures, they can be demounted in seconds, rearranged into a different format and panels swapped allowing seasonal colour schemes, Christmas displays or artwork changes. From a single panel to a full wall covering and everything in between, Feature Wall offers the ultimate in flexible design - you can even design your own panels as everything is manufactured and finished here in the UK using advanced composite technology for the ultimate in lightness and strength. If you have any enquiries or ideas about a Feature Wall design that would like us to quote for or create a composite image for then click here to get in touch.